Charity Trek to the South Pole! 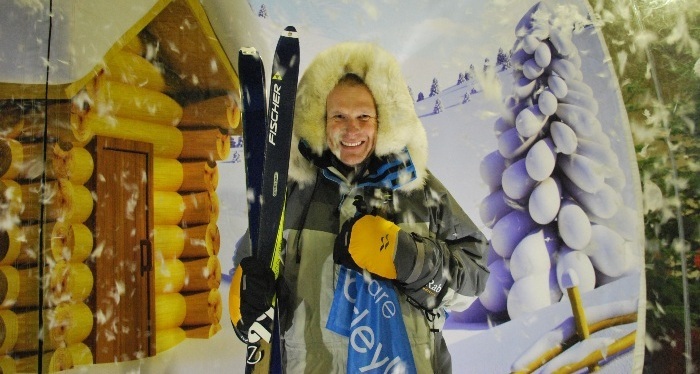 Barleylands business owner, Chris Philpot, will be experiencing a dramatic change of scenery next week from the green fields of Barleylands farm to the frozen Antarctic as he joins the Imperial Trans-Antarctic Expedition to the South Pole! Chris will join the group of twelve, including relatives of geologist Sir James Wordie, explorer David Hempleman-Adams and writer and former SAS sergeant Andy McNab, as they set out to finish Shackleton’s ill-fated voyage from a century ago. The famous 1914 expedition, in which Wordie was a key figure, is now recognised as an epic feat of fortitude. The ship Endurance became icebound during the winter of 1915, crushed and sank stranding its crew on the ice which continued to drift. Shackleton and five others then made an 800 mile open-boat journey to reach South Georgia and mount a rescue. The aim of the 2015 expedition is to follow some of the route that Shackleton and his team would have passed along in November 1915 had the “Endurance” not become trapped in the ice. More or less exactly 100 years later, the group aim to ski the last 100 nautical miles to the South Pole. The expedition is the brainchild of Alice Holmes, the granddaughter of Sir James Wordie who explains “In walking the last 100 miles to the South Pole, this completes some unfinished family business, but is also a way to understand the hardships and remember the heroism of those who set out 100 years ago”. The expedition starts on the 25th November and the team are planned to arrive at the South Pole on December 15 after ski trekking 100 nautical miles at 8,000 ft in temperatures as low as minus 40oC pulling all their supplies and equipment by sledge .